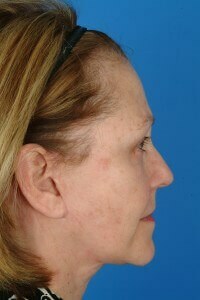 Facelift is one of the most common facial rejuvenation procedures. It provides the most remarkable and long-lasting improvement in your appearance, particularly for those with significant sagging at the jawline, loose neck skin, as well as sagging in the cheek area. One of the most common questions patients ask is --- How long does a facelift last? There is not one single answer to this question due to a number of factors, including your health, age, and underlying anatomy at the time of the surgery, as well as how well you take care of yourself after the surgery. 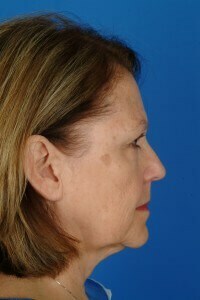 A facelift resets the aging clock by about 10 to 15 years. You will continue to age, but you have time shifted the aging conveyor belt. For some patients, they are happy with that amount of shift throughout their future years, while others will have another surgery in ten or fifteen years. The younger you are the longer you can expect facelift results to last. If you are older at the time of facelift surgery, you will experience more dramatic improvement, but you can not expect the surgery to wipe out the aging process entirely. You want your facelift to look natural. Houston facial plastic surgeon, Dr. Russell Kridel’s facelift technique, MVP Lift, results in a natural and long-lasting look and NOT a windblown, pulled back look. In addition, his trademark hidden incision technique means no one, except maybe your hairdresser, will know you had surgery. Irrespective of your age, you can expect a facelift (MVP Lift) to improve your appearance --- a more well-rested and healthy you --- as well as your personal outlook. Dr. Kridel performs about 100 facelifts each year and is recognized by his peers and patients as one of the best facial plastic surgeons in the country. The American Academy of Facial Plastic and Reconstructive Surgery awarded him their top honor for his innovations in surgical techniques. He has published over 30 medical journal articles and textbook chapters on facelift and facial rejuvenation techniques and other surgeons travel from all over the world to train with him. Needless to say, you will be in the best of hands for facelift (MVP Lift) surgery with Dr. Russell Kridel.